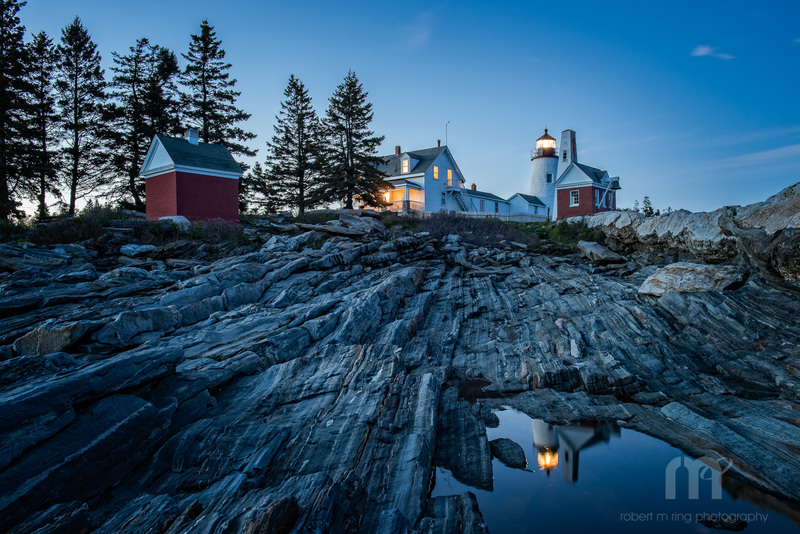 Pemaquid Lighthouse in 'blue hour' which is the time before or after the sun rises or sets respectively. The light as seen by the camera has a blue cast to it. Photo © copyright by Robert M Ring.